Reality Check: Will August 12 Meteor Shower Light Up The Whole Sky And Night Appear As Day? From the last few days, a claim of a rare meteor shower coming on August 12 has been going viral on various social media websites. According to the reports, it is believed that the upcoming meteor shower will be the brightest shower in human history. 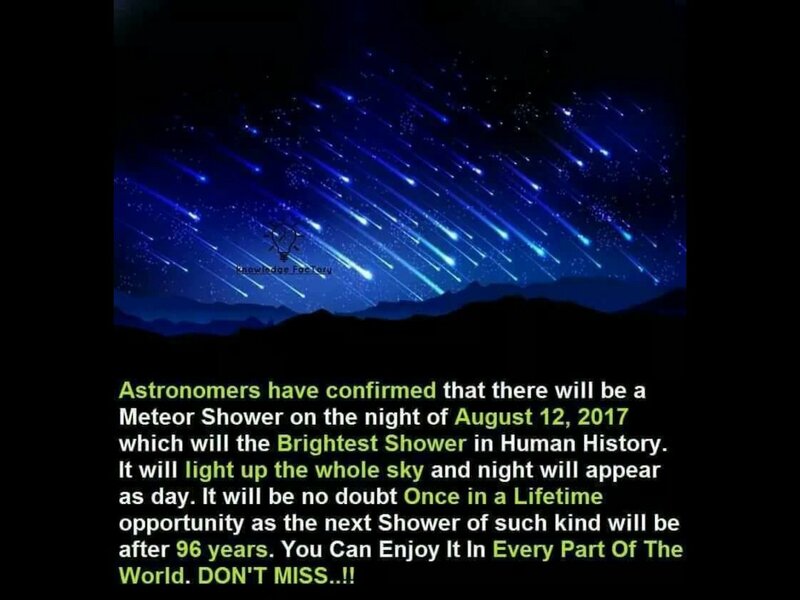 On August 12, there will be a meteor shower and it is an annual event, termed as Perseid Meteor Shower. It is active from July 13 to August 26. And most importantly, this year may not be the brightest, because the moon will be so bright and will be competing with it. There is no expectation that this year’s meteor shower will be the brightest. Moreover, the claim that the night will appear as a day is totally baseless. There is no such thing going to happen.